Although Kim Wilde's younger sister Roxanne Wilde has an equally captivating voice and stage presence, she never quite manage to lift her career off the ground in the way her older sister did. Along the way, she did record several interesting records. First with her own band Dimestars, and later with some dance producers. Her hit with Darren Tate, 'Destination' became a chart hit in May 2003 and soon after that she recorded 'Our lips are sealed' with The Visitor, a.k.a. Jon Pleased. 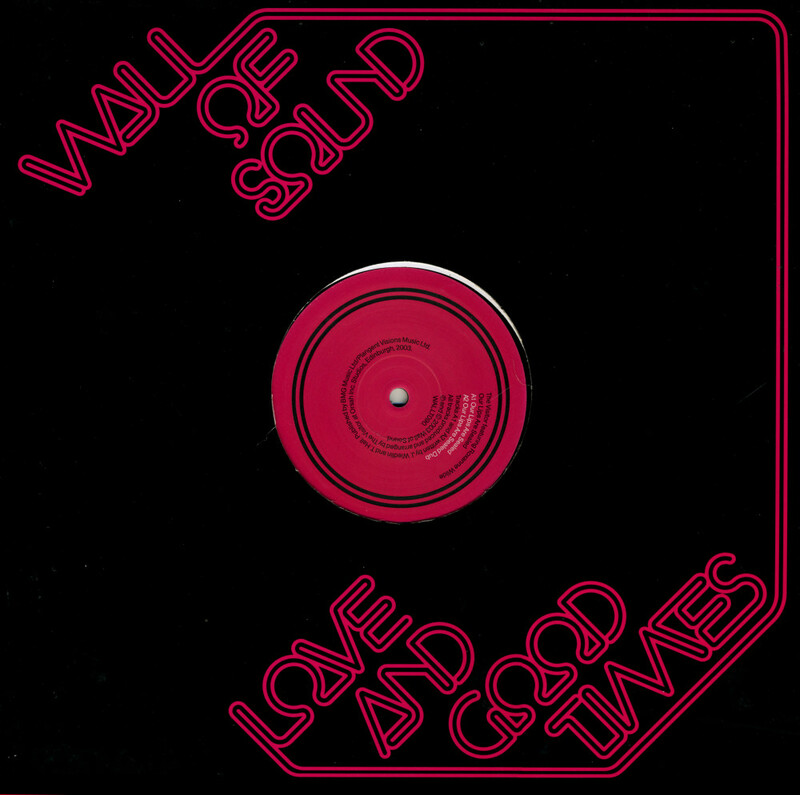 This 12" single features two versions of the track as well as a rather interesting instrumental dance track. Roxanne later became a backing vocalist for Kylie Minogue, so she did alright for herself anyway. Producer and DJ Darren Tate was born in London on October 22, 1972. 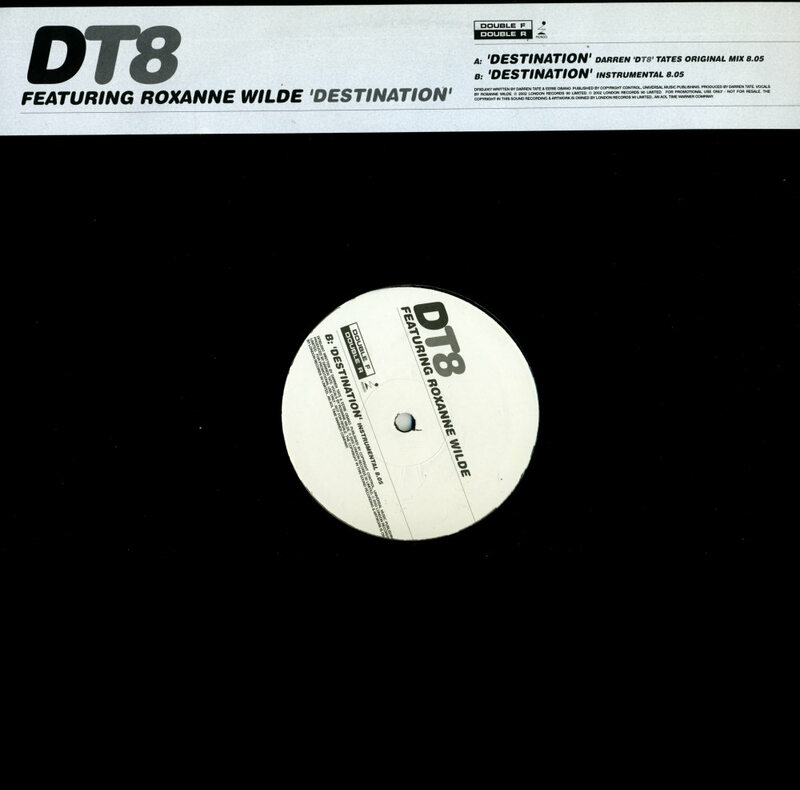 In the early Noughties he started working under the pseudonym DT8. 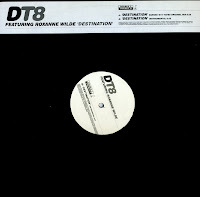 The DT8 project involved dance tracks with various guest vocalists. One of them was Roxanne Wilde, the younger sister of Kim Wilde. 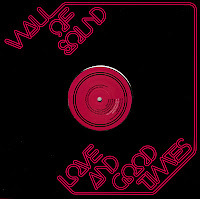 The track 'Destination' was released on several different 12" singles - and this is one of them. It was a hit for the two, peaking at number 23 in the UK singles chart in May 2003.